Since the onset can occur in people as early as their thirties and forties, it often strikes during an individual’s prime working years, and as the disease progresses it prevents gainful employment. As a result, individuals are coming to grips with a devastating diagnosis all while losing employment and the salary and benefits that come with being employed. These individuals and their caregivers then must figure out how they will pay for their care. Thankfully, since 2010 Social Security has helped by adding Alzheimer’s disease to its Compassionate Allowances Initiative. The initiative identifies debilitating diseases and medical conditions so severe they obviously meet Social Security’s disability standards. Compassionate Allowances allow for faster payment of Social Security benefits to individuals with Alzheimer’s disease, mixed-dementia and Primary Progressive Aphasia. 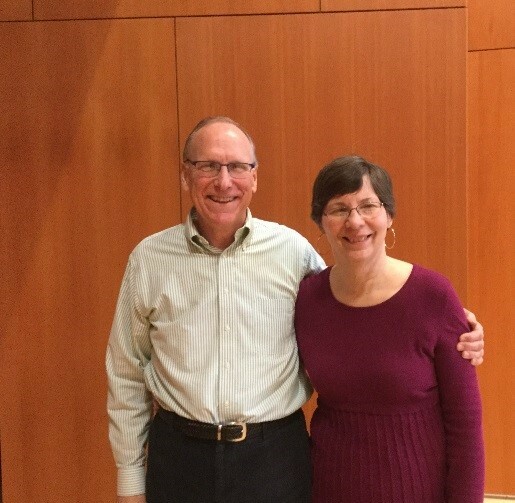 The inclusion of Alzheimer’s disease in Social Security’s Compassionate Allowances has had a profound impact on the Alzheimer’s community, helping thousands of families including Tom and Julie Allen. Tom was looking for a way to help manage the costs of Julie’s Alzheimer’s care, since his retirement and two part-time jobs were not enough to cover the large costs of Alzheimer’s disease. Through the Alzheimer’s Association and Social Security, he was able to apply for disability benefits for Julie. Social Security benefits are very important to individuals with early-onset who are unable to work and have no other source of income. At the Alzheimer’s Association, we hear from family caregivers about the challenges they face paying for care. As was the case with Tom, the financial complications fall to the caregiver as well as finding the day-to-day care solutions. That is just one of the reasons why we celebrate November as National Family Caregiver Month and we take time to honor the 15 million caregivers for those living with Alzheimer’s disease. To learn more about how Social Security disability insurance works, visit Social Security’s disability page and visit Social Security’s Compassionate Allowances page nyhttps://ssa.gov/compassionateallowances/ to learn more about other medical conditions under the Compassionate Allowances Initiative. The Alzheimer’s Association is also here to help, visit www.alz.org (see external link disclaimer below) or call our 24/7 Call Center at 1-800-272-3900 for additional support. This entry was posted in SSDI 60th and tagged Alzheimer's disease, Alzheimer’s Association, Alzheimers, caregivers, compassionate allowances, Disability, disability benefits, disability insurance, early-onset, National Family Caregiver Month, social security disability benefits by Robert Egge, Alzheimer’s Association, Chief Public Policy Officer. Bookmark the permalink. Great news for so many people struggling! Hope that I can had had some articles on my Social Security Benefit that I am entiltle for as ***-**-**** card holder. I forget many things, but I’m lucky i don’t have that yet. My husband has early on set Alzheimer’s. The cost of the medicine is bankrupting us. Even with prescription drug coverage it’s more than we can afford. What can a person do?? Have you looked into ordering meds through Canada? Also a lot of drug companies offer financial assistance if you meet the financial requirements. They will reduce your costs of the drugs. Your Dr. should be able to get you information on this. Or a Pharmacist. Or go to the drug manufacturer’s website. My girlfriend did this with her depression medications and she got them for $5/mo after the company discounted them. Hi Anna. If you meet certain income and resource limits, you may qualify for Extra Help from Medicare to pay the costs of Medicare prescription drug coverage. If you don’t qualify for Extra Help, your state may have programs that can help pay your prescription drug costs. Contact your Medicaid office or your State Health Insurance Assistance Program (SHIP) for more information. would update the Subpt.A and Subpt B-especially for children due to rise of healthcare.They are being to have health related issues that have not been adding to some of the listing. such as …types of cancer,type of diseases that can be both viral or bacterial, types of disorders.ADHD is the most vasive for children and adults even though children complication I believe got added to the book in the early 90’s.We as individuals want our Chief Health Advisor to keep us inform about plans,premiums,and new preventive services. I am going to assume that you are a caregiver or someone you know for someone with Alzheimer’s Mr. Wilson. I know what you and others are going through caring for someone with this horrid wasting disease. My father and us kids helped take care of my Mom at home til the end and it really does take a toll. A mixed blessing in disguise was when she was diagnosed with a fast growing cancer and it took her before the last stages of Alzheimers. The help you are seeking is through DSHS or if the person or spouse with the Alzheimer’s served in the military there is also additional help through the VA and you would need to contact them. My father also attended support groups to help cope and get other info and your local hospital or Aging Services probably has information about those. SSA has no program to help with the caregiving and that may be why nobody has responded to you but they should have at least responded and provided you with the info that I have given you as referral info. I wish you well… it is a very long and difficult road and so heartbreaking. Now that the full retirement age is over 65, it’s not accurate to say that people with Alzheimer’s all qualify for a compassionate allowance. Only early onset Alzheimer’s is a CA disorder, meaning under 65. A lot of people on SSDI (over 5%) are 65 and up. SSA should update the CA list to say all Alzheimer’s, not just early onset. When will Social Security tell us the exact amount we will pay for Medicare Part B in 2017. I heard that Obamacare might lead the way to privatizing Medicare. I use to work for a local government that was self insured. Being self insured was costing them more monew. They had to remain self insured because many of the employees had a pre-existing condition and couldn’t get private insurance to cover them. When Obamacare eliminated pre-existing conditions, everyone had to go to the private insurance. Original Medicare is similar to being self insured. Billions of dollars is lost to fraud with Original Medicare. It is time to force everyone to the private Medicare Advantage Plans and eliminate Original Medicare if it saves Medicare money. Their pre-existing conditions should be covered and the Medicare Advantage Plans by law covers everything Original Medicare covers. Can Alzheimers be associated with Epilepsy or any other neurological diseases? I don’t have a Home; I don’t have real family. All I know is I’m supposed to possess a unique Native American Heritage. So unique that numerous attempts have been made on my life. And some other associates lives have been ruined. That is why I request an appointment but I need to involve an FBI field agent in charge DC regarding Chain of Custody of Documents/ Data.